I grew up in Minnesota, served in the active duty military for 20 years, lived abroad for ten years and traveled around the world. With my formal education and on the job training I have gained a great appreciation for antiques, art, jewelry, coins and collectibles. I specialize in appraising, cataloging estate property and teaching. Completed training for Certified Personal Property Appraiser in accordance with U.S.P.A.P. standards (the Uniform Standards of Professional Appraisal Practice) in the State of Minnesota. I received training in appraising principles, methodology, ethics, report writing, business practices, legal proceedings & depositions. I've taught appraising your antiques and collectibles, jewelry appraising, coin appraising & trash or treasure for the Anoka-Hennepin School District. The Community Education Department is dedicated to lifelong learning, involving people and enriching communities. I've taught appraising your antiques and collectibles for Wayzata public schools, Adult Community Education. Wayzata Community Education Department strives to offer a wide variety of learning opportunities for adult students who are always eager to learn. 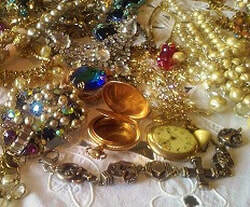 I've taught appraising your antiques & collectibles at the St. Louis Park Community Education. A partnership between the City of St. Louis Park and St. Louis Park Community Education. Their mission is to enhance the quality of life through lifelong learning and empowerment of people. I've taught appraising your antiques and collectibles at the Spring Lake Park Recreation Department. They take pride in offering residents many opportunities to learn, socialize and recreate. S. L. P. recreation is your partner in building a safe, strong and active community. I have the training and am authorized to do appraisals in accordance with the Code of Federal Regulations (CFR) of the Internal Revenue Service title 26, volume 14, section 20.2031-6 (valuation of household and personal effects) and IRS publications 526 & 561, form 8283 (charitable contributions). I've completed 4 years of college and documented training in art, art history, business management, personnel management, leadership, asset security, military logistics, public issues, public speaking, writing, finance, mechanical, electrical, general studies and insurance licensing. I have training in antiques, collectibles, tools, books, electronics, military gear, depression & modern glassware, china & dishware, figurines, stamps, vintage toys, camera equipment, household property, folk art, trench art, counterfeit & reproduction identification, advanced internet syntax & analytics, sales and eCommerce. Besides appraising the art mentioned on my home page, I have formal training in fine art and have personally done copper engraving, etching, aquatint, stone lithograph, silkscreen, linocut & woodblock prints, three dimensional sculptures from various mediums, drawings with pastel, pencil and charcoal and stained glass with lead and copper. I can identify precious and semi precious gemstones like diamonds, sapphires, rubies and emeralds from simulants, including identification by thermal conductivity and reflectivity. I can distinguish precious metals such as 800, 830 & 925 sterling silver; 10K, 12K, 14K, 18K, 417, 585, 750, etc. gold and 900 & 950 platinum. I have appraised mourning jewelry, tribal and ethnic jewelry as well as thousands of pieces of costume jewelry. I also have extensive training on faux silver such as German Silver, Nickel Silver, & Alpacca Silver. With my experience and travels I can identify thousands of U.S. & foreign coins and paper money without research; to include coins from the P, D, S, O, W & CC United States mints and confederate currency. I have collected coins since I was 10 years old. My personal collection includes type coins, confederate, gold, silver, major errors, dollars, thalers, varieties and examples as old as 450 B.C. Worked as an antique dealer at four antique stores in the Minneapolis Metro area. Besides being an antique dealer, I presented my opinion on antiques & collectibles as well as discovering fakes & reproductions. In handling thousands of items, my peers have been generous in teaching me the respect and appreciation for the profession. I've volunteered for appraiser related work at: non-profit, faith based and community center organizations. If you are involved with a non-profit that has such a need, please contact me. I enjoy working with people & participating in the community. My eBay store has attained both "Power Seller" & "Top Rated Seller" status which is awarded to sellers that consistently provide the best buying experiences to their customers. I have done e-commerce sales since the year 2000. ​I'm a retired Army Platoon Sergeant of 20 years, Active Duty Army 1981 - 2001. While in the military I maintained an exemplary record of service and humbly received numerous medals, awards & commendations. Member of the Minneapolis Institute of Arts. The MIA enriches the community by collecting, preserving, and making accessible outstanding works of art from the world’s diverse cultures. Inspiring wonder through the power of art, free admission. Member of the Minnesota Artists, which offers Minnesota-based artists a central gathering place on the Web, and offers the public a new way to explore art and get to know artists. A project of The McKnight Foundation and Walker Art Center. ​First Edition member of the Highpoint Center for Printmaking which is dedicated to advancing the art of printmaking. Its goals are to provide educational programs, community access, and collaborative publishing opportunities to engage the public and increase the appreciation and understanding of the printmaking arts. Member of the Briar Press community of over 73,000 letterpress printers, book artists, and press enthusiasts. The site is dedicated to the preservation of letterpress-era equipment and the art of fine printing. Member of Heritage Auctions, the third largest auction house in the world. Their knowledgeable staff of over 100 experts and 300 additional service-oriented professionals and suite of services, help customers develop the best collections possible. Gold Member of The American Numismatic Association, a nonprofit educational organization dedicated to educating and encouraging people to study and collect coins. The ANA serves the academic community, collectors and the general public with an interest in numismatics. ​​Member of the Numismatic Guaranty Corporation (NGC). The world's largest and most respected third-party coin grading & authenticating company. 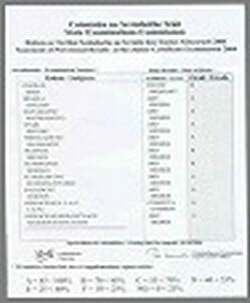 NGC is the official grading service of the ANA. Premium member of the Paper Money Guaranty Co. (PMG), the most comprehensive third-party paper money grading and encapsulation service. Proud to be the most preferred, most trusted paper money grading service for today's collectors. Member of the American Society for Testing and Materials. ASTM is an international standards organization that develops and publishes technical standards for a wide range of materials including metals used in the production of counterfeit antiquities such as White Brass, Nickel Silver, Paktong and Alpacca Silver. ​Member of Collectors Weekly, a resource for people who love vintage and antiques. At Collectors Weekly, you’ll find: In-depth information on more than 1,600 vintage and antiques categories. Collectors Weekly publishes original features, interviews, Show & Tell, where you can share your favorite vintage items and antiques. Member of the Main Street ecommerce marketplace. A group of more than 250,000 international sellers that are involved in how public policy issues affect the internet merchants for the ecommerce world. Member of the The World Gold Council which is the market development organisation for the gold industry. Our purpose is to stimulate and sustain demand for gold, provide industry leadership, and be the global authority on the gold market. Member of the ​Platinum Guild International (PGI) which is a marketing organisation which was created in 1975 with the vision to develop the global platinum jewelry market as a new demand source for platinum. Copyright © 1998 - 2019 | Mineapolis Certified Personal Property Appraisals. All rights reserved.